Also Camel archers, why are there no Camel units? Because the engine can't represent ship units. There shouldn't just be camel archers. There should also be seaborne camels that act as small crafts in support of larger vessels out at sea. There should also be an elite unit of Pretorian Cavalry mounted on camels, available for recruitment not only in Rome, but also Egypt, India, and the British Isles. Dinosaur-riding cataphracts and elephant-mounted lithobolos. Axe wielding romans, hoplite archers, germanic elephant riders, roman devotio berserskers, fist-fighting group of gauls, gaulish general is carried on a shield. The age of Gladiators, were Gladiators Ruled Rome as Kings. With double swords and small crossbows that look and fire the same as modern pistols. Goddamn. You guys are really stepping up your game and stepping up to the plate with these terrible suggestions. It's just awful. I like it. Lepper and plague bearing spies designet to infiltrate settlements and devastate population, armies and FM. Mission should include to collect 9 dragon balls placed all across the ancient world and to summon wish-granting Dragon who would be deadly on battlefield. Imagine sudden mongol-type Uruk-hai invasion; 10 full-stack armies appearing in Eurasian Steppes. Phalangitai fighting against Warg riders, Cretan archers shooting down flying Nazguls, evcatii cohorts being smashed to pieces by sudden charge of Cave trolls. Cannabis plantation building - improving order but decreasing moralle in units trained in particular settlement. This mod needs more kawaii uguu. 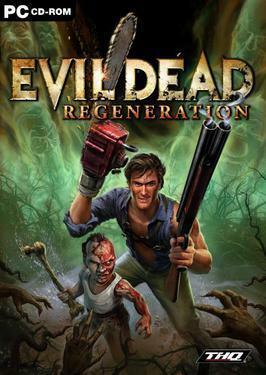 This was mentioned in the new features and goodies thread, the introduction of Ash (Bruce Campbelle) and the Evil Dead. Make it happen, EB II team, make it happen. I figured this would end up here somehow..
Outfit the units based on their socio-economic status in US Presidential Campaign gear. Have slingers or other lower-class/poor units with Bernie Sanders's face on their shields. Have solid middle class units carrying Hillary Clinton's 'H' symbol on their shields. Nobles or cavalry should have "Make America Great Again" hats instead of helmets. The Sandersite units should naturally all use flaming projectiles, be they slingshot, javelins, or arrows. It took me a moment to get that joke. And then slowly, but surely, I felt a Berning sensation somewhere. The paranormal community should also be represented in EB2. Where's the events for unrest when vampirism breaks out in a city? Where's the events for moral loss when it's found out that the enemy faction has werewolves it can use to attack army camps at night? Where's the event that has a Roman legion disappear in the desert after being mauled by a dragon? Forgot to whine about there being no pop reduction and unrest raising event for the Celtic factions because... Great Hunt! went riding through!!! (can't leave out the Fae. They get all butthurt if you do and that's a bad thing). Last edited by Grimmy; March 15, 2016 at 03:40 PM.